The franchise’s fanbase has often been outspoken, and the new era is no exception – with The Last Jedi in particular generating a hugely polarised reaction. Gleeson credited his work as Bill Weasley in the Harry Potter movies for preparing him for something as enormous as a galaxy far, far away. “I felt a little worried about fan reaction, but you can’t control that – all you can do is your job,” he told Entertainment Weekly. “General Hux is ridiculous in lots of ways, but not in a hilarious way. “But just anything to do with that level of… what’s the word? Pomp and all the rest of it, the higher reigns of military, all the badges and the medals. Recalling his work in Harry Potter prior to Star Wars, he said: “I met some amazing people on that set. “I loved how they all handled themselves; they were all good, generous people – that thing about art requiring suffering was just kind of dispelled. While Gleeson’s treatment by Star Wars’ more vocal fans hasn’t been too severe, the likes of Kelly Marie Tran (Rose Tico) ended up quitting Instagram due to appalling sexist and racist abuse. She wrote an essay this week talking about her experience of being at the receiving end of such vitriol. “Their words seemed to confirm what growing up as a woman and a person of colour already taught me: that I belonged in margins and spaces, valid only as a minor character in their lives and stories,” she wrote in the New York Times. “I had been brainwashed into believing that my existence was limited to the boundaries of another person’s approval. “I had been tricked into thinking that my body was not my own, that I was beautiful only if someone else believed it, regardless of my own opinion. She added: “I know that I now belong to a small group of privileged people who get to tell stories for a living, stories that are heard and seen and digested by a world that for so long has tasted only one thing. 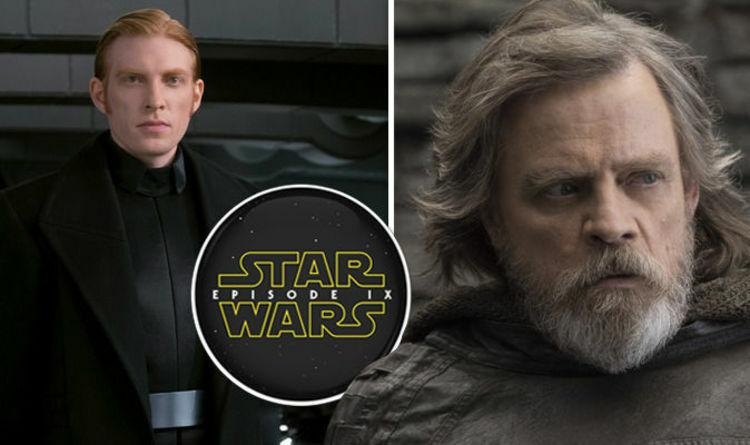 Gleeson and Tran will be joined by Daisy Ridley, Adam Driver, Oscar Isaac, Mark Hamill, John Boyega and Lupita Nyong’o in Episode 9 of the series, which is currently in the early stages of filming. It will also use unused archive footage of Carrie Fisher, who died in late 2016. Star Wars: Episode 9 is out in December 2019.